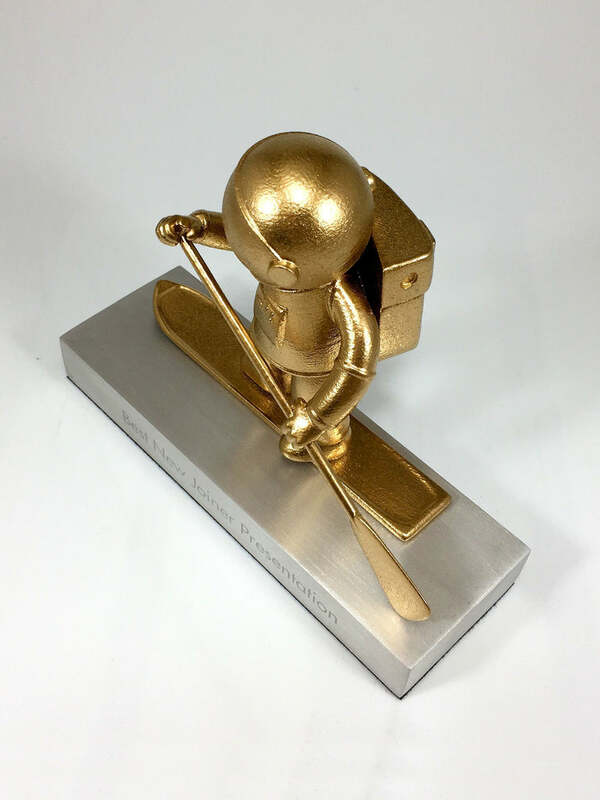 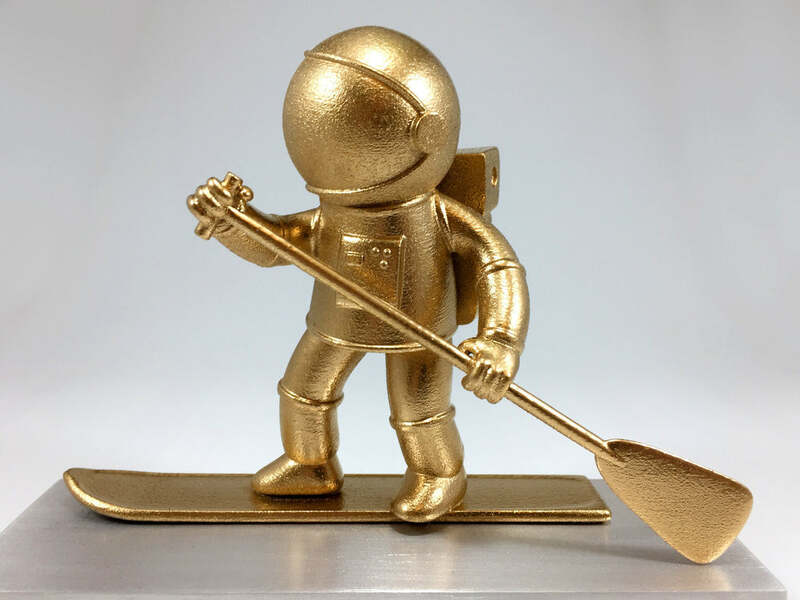 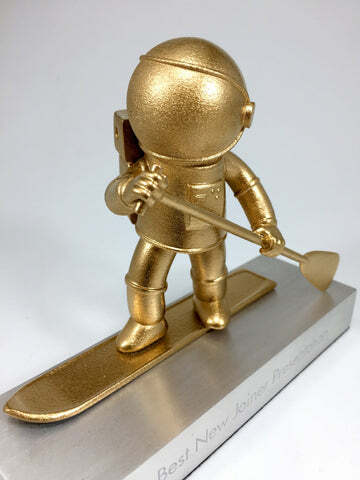 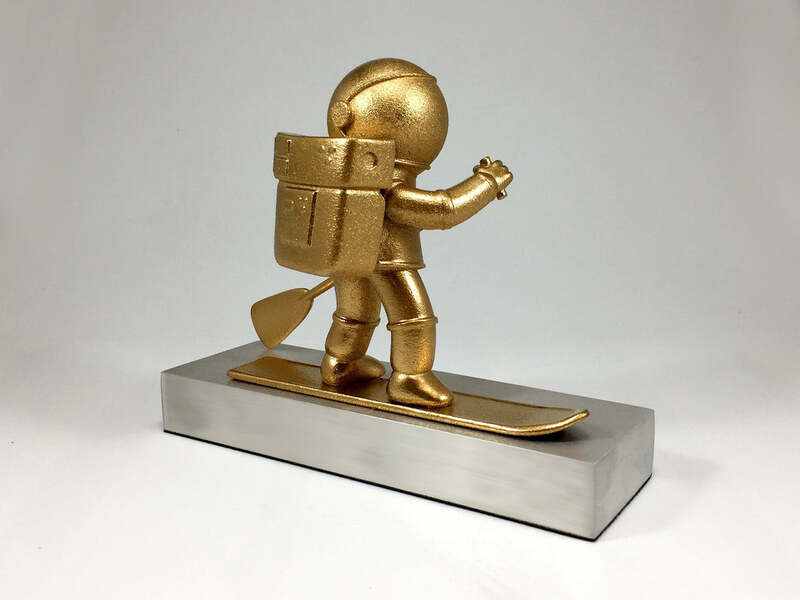 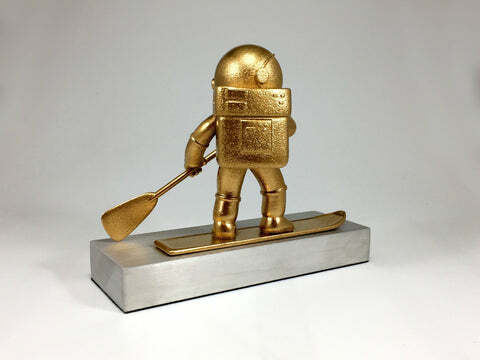 Expertly crafted using the latest 3D printing technology, our Gold 3D Printed Paddle Man Award is sure to turn heads. Designed and 3D printed in house, we drew inspiration from the logo of the famous brand that approached our teams to design their one of a kind award. 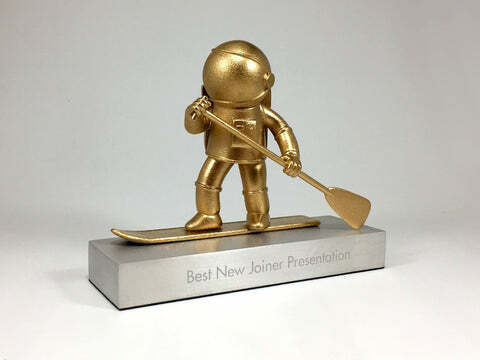 The highly detailed award was commissioned by the company as a thoughtful way to welcome new members to the team. Resting on a satin metal base that was hand engraved, the award is made from high quality, gold coloured resin.